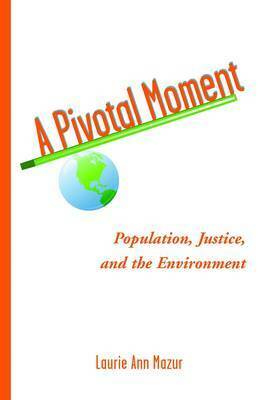 With contributions by leading demographers, environmentalists, and reproductive health advocates, A Pivotal Moment offers a new perspective on the complex connection between population dynamics and environmental quality. It presents the latest research on the relationship between population growth and climate change, ecosystem health, and other environmental issues. It surveys the new demographic landscape in which population growth rates have fallen, but human numbers continue to increase. It looks back at the lessons of the last half century while looking forward to population policies that are sustainable and just. A Pivotal Moment embraces the concept of "population justice," which holds that inequality is a root cause of both rapid population growth and environmental degradation. By addressing inequality both gender and economic we can reduce growth rates and build a sustainable future. Editor Laurie Mazur is an independent writer and consultant to nonprofit organizations who has written extensively on population and environmental issues. She is the editor of Beyond the Numbers: A Reader on Population, Consumption, and the Environment (Island Press, 1994).